Updated at 6:35 p.m. on Monday, August 20, 2018. 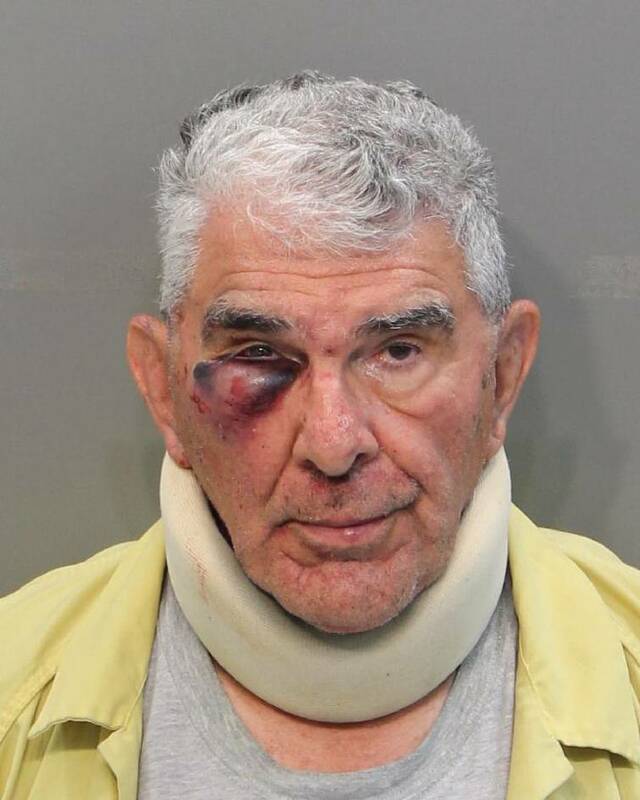 A 78-year-old man was arrested at his Hixson home early Sunday morning after a domestic assault incident and assaulting the responding Hamilton County sheriff's deputies, authorities said. Charles Koory called 911 just before 4:30 a.m. to report a disorder, according to court documents. When deputies arrived, they learned it was a dispute over sleeping arrangements, and Koory wanted them to make the other person move to a different room. One of the deputies told him they could not make the other person do that, and Koory told them he'd call 911 again if they left without making the person move, the arrest report states. Deputies informed Koory he could be arrested for improper use of 911 because it is reserved for emergencies only, and his case was not an emergency. At that point, Koory picked the other person up, threw her on the floor and said, "Now call her an ambulance to get her out of the floor," according to the report. Deputies then approached Koory to take him into custody, which is when he "squared off" to them. "He began swinging his fists at [deputies]," court documents state. "All three of us fell to the floor and Mr. Koory continued to swing his fists at [deputies]." Koory struck a deputy in his upper torso and neck, according to the report. Deputies returned strikes "in an attempt to stop further assault." Deputies finally were able to hold Koory's arms to stop him from swinging, the report states. An ambulance was called for the woman after deputies learned she had been treated for a fall earlier that day and was showing signs of lethargy and partially losing consciousness. Koory is charged with domestic assault, aggravated assault on police, resisting arrest and improper use of 911. He was booked into the Hamilton County Jail with a $1,500 bond. In his jail booking photo, Koory is wearing a neck brace. It was not clear whether he already had a neck brace or if that was a result of Sunday's altercation.